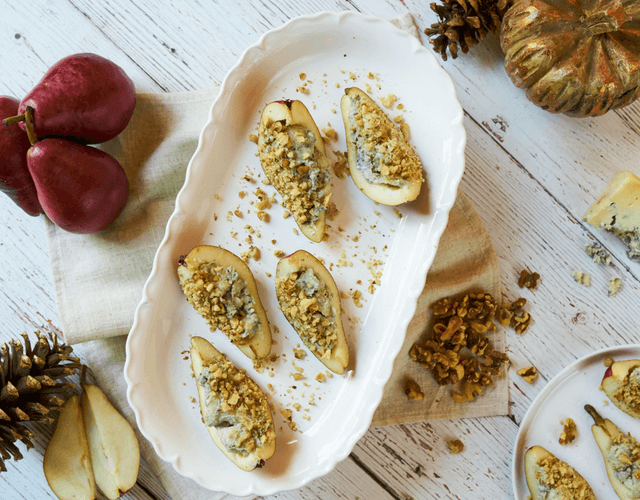 The fat-bottomed fruit is turning heads with our Blue Cheese Stuffed Pears recipe. Not your average pear, the skin on a Starkrimson pear changes from a dark crimson to bright crimson red as it ripens. 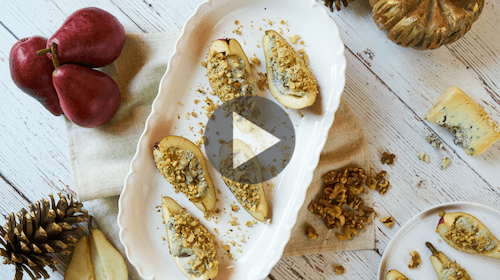 These pears are sweet and juicy, perfect for a snack, bake, or salad. 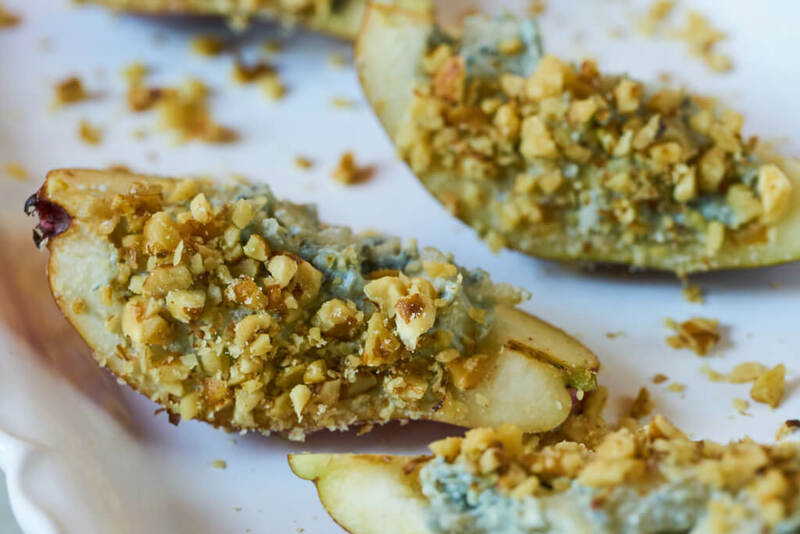 Pears are packed with nutrients such as dietary fiber, antioxidants, minerals, and vitamins, so don’t hesitate to spoon on as much blue cheese as you’d like! We’ll keep the growing to the experts, but we're taking part of this global family from our kitchen. Using the distinctive variety of the Starkrimson, this recipe is sure to introduce to you a whole new flavorful world. 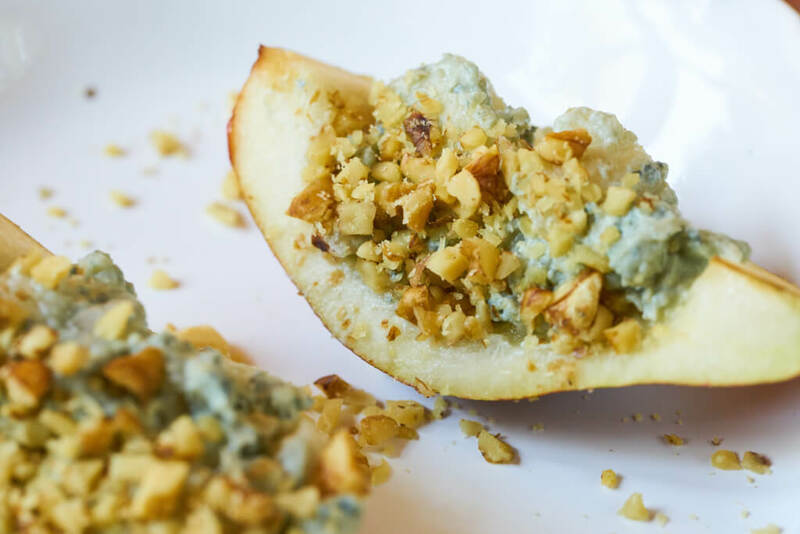 TIP: Rough-chop the pear flesh into smaller pieces before mixing with the blue cheese for a filling with more smooth consistency. Drizzle finished pears with honey for a little extra sweetness. Cut pears in quarters, remove seeds and remove a bit of flesh from your pear boats using a melon baller or spoon. Sprinkle the boats with lemon juice. 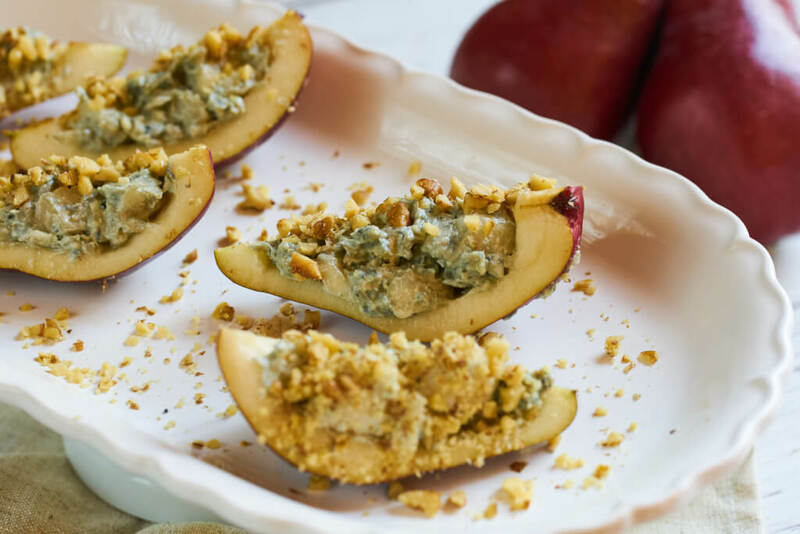 Use a spoon to mix the pear flesh with blue cheese. Stuff pears with a cheese knife or spoon. Sprinkle with ground walnuts. Enjoy!